We represent patients who are injured and suffer harms and losses caused by the negligence and malpractice of doctors and hospitals. These injuries are usually preventable and occur because a doctor or hospital violate basic rules of patient safety in making their choices. Most of these injuries have a significant impact on the quality of a patient's life and the lives of their families. Many victims of medical and hospital negligence are not able to return to a healthy and productive life style and suffer great financial losses. 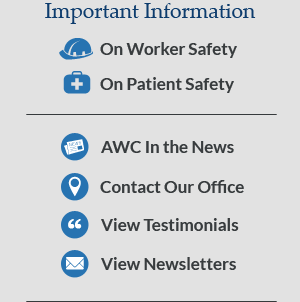 Our goal is to promote patient safety and thereby reduce and hopefully eliminate certain recurring medical errors. We also believe that patients who are harmed deserve fair and just compensation to balance the severity and duration of their harms and losses. Many surgical injuries occur because the surgeon chooses not to properly identify the anatomy and protect vital organs and structures such as nerves, blood vessels and vital organs. During surgery to repair an aneurysm of the abdominal aorta on a 64 year old patient, the surgeon chose not to properly identify and protect the renal vein and ureter causing a laceration of the blood vessel and clipping off of the ureter resulting in massive bleeding and kidney failure and permanent injuries and harms and losses to the patient who requires a tube to drain urine from her kidney. During hip replacement surgery on a 65 year old patient the surgeon choose not to properly identify and protect the sciatic nerve and did not properly correct the leg length resulting in permanent neurologic injuries and disability in function and use of the leg. A doctor should choose to use the differential diagnosis method to diagnose and treat a patient's problem. This method requires that a doctor choose to make a list either mentally or by documentation of all potential serious treatable illnesses that may be a cause of the patient's problem. The doctor should then choose to obtain those tests and medical workup necessary to rule out each potential serious treatable illness. A doctor should choose never to eliminate a serious treatable illness from the list unless it has been ruled out. Should a doctor choose not to follow this method and this results in jury to the patient the jury may hold the doctor responsible for medical malpractice. A 45 year old male presents to the ER complaining of recent chest pain. The patient recently had a spicy meal. The ER physician does a brief examination and ECG which looks to be normal administers some medication for a diagnosis of dyspepsia and discharges the patient within 2 hours. 24 hours later the patient suffers a fatal heart attack. The ER physician's choice to send the patient home without ruling out a heart attack is evidence of medical malpractice. A 55 year old woman presents to her Gynecologist for annual checkup. The patient is in menopause and has glandular fibrocystic breasts. The doctor exams her breasts and feels a small lump in one breast. He thinks it's most likely a benign cyst and tells her to wait for her next scheduled mammogram in 6 months. Unfortunately the next mammogram and sonogram should a suspicious nodule that is ultimately diagnosed as cancer and the patient is found to have 3 positive lymph nodes. Unfortunately, the 6 month delay has resulted in the spread of breast cancer. The gynecologist's choice not to timely obtain a work up to rule out breast cancer is a basis for medical malpractice. A 65 year old male with a history of migraine headaches goes to his primary care doctor complaining of the worst headache ever. The doctor does a brief examination and says it's just a bad migraine and prescribes Fiorinal for pain. 6 hours later the patient has altered speech and numbness on the left side of his body. He goes to the Hospital and is diagnosed with a major clotting stroke. Unfortunately it is too late to give TPA to try and break up the clot and minimize the damage. The patient suffers permanent brain injury from the stroke. The primary care doctors choice not to send the patient to the ER to rule out stroke deprived the patient of a substantial chance for a better outcome and is a basis for jury finding of medical malpractice. Prior results do not guarantee a similar outcome. We are happy to discuss your potential case and offer a free initial consultation. Please contact us today.